Great Meadows National Wildlife Refuge located in Concord, Massachusetts was founded in 1944 and is managed by the United States Fish and Wildlife Service. For bird watches and wildlife photographers alike it has been a real “hot spot” for many years. I for one have been visiting it for over 25 years now and have seen and photographed many species of birds and other wildlife. Of all the birds I’ve photographed none compares to a small brown bird with mountains of personality. 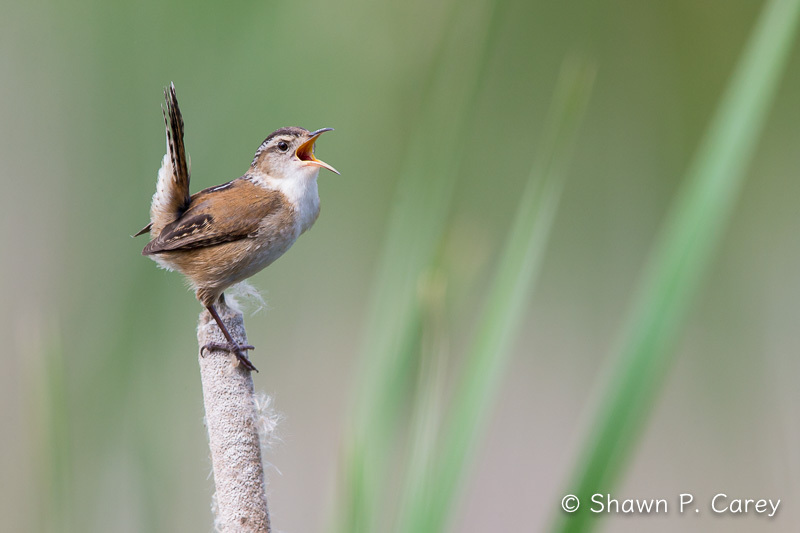 I am talking about the Marsh Wren, one of the more lovable birds that can be found during the spring and early summer scaling cat tails and chattering to the world “This in my territory!” In fact Great Meadows may be the best location in all of New England to see and photograph these wrens as well as Red-winged Blackbirds who also find cat tails an irresistible perch to sing from. 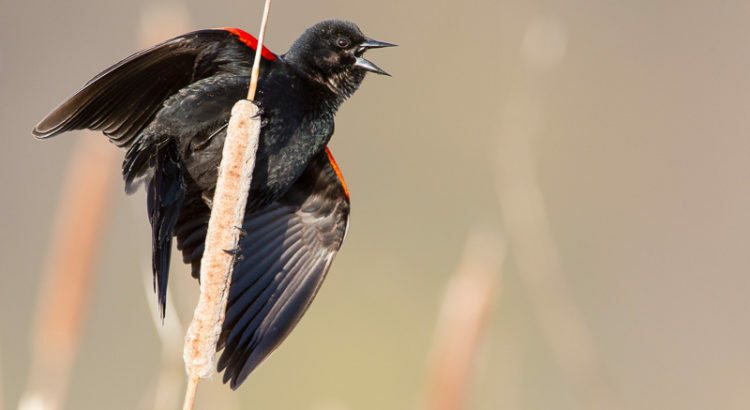 Each year as spring arrives I plan my many trips to Great Meadows in search of the perfect photo and video of both Marsh Wrens and Red-winged Blackbirds. The chorus of bird sounds as you arrive in the parking lot is filled with Red-wings and Marsh Wrens as it echoes across the mash. 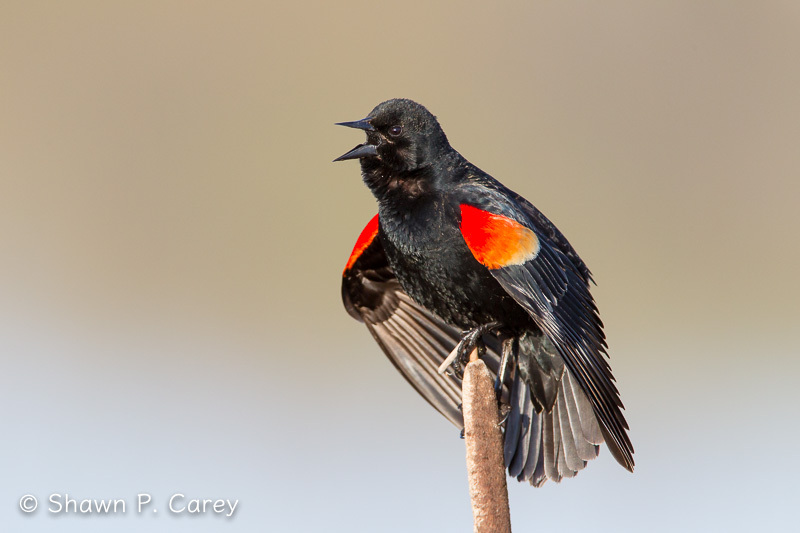 A sound so inviting you cannot wait to encounter these birds and capture that first photo or video. The trick is to find just one male that is so focused on sitting atop a cat tail that he will allow you to record his every movement and sound. So I return each year just as the birds do and spend time with my fellow bird watchers and photographers and enjoy another season in search of photos like the ones you see here today. This is a special place with some very beautiful birds and many other interesting species of wildlife. 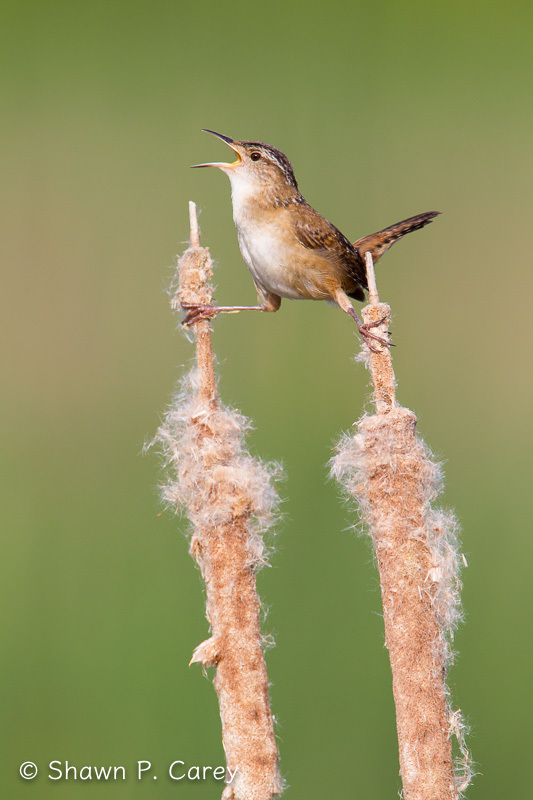 If you have not visited before I recommend you do so and when you see your first Marsh Wren teed up and singing say hello for me. Remember please help to protect wildlife and wild places, thank you.